LONG BEACH — Did you miss watching multihull sailboats in the Olympics this summer? Well, don’t fret: You should be able to get your fill of racing action at the Globaltech Formula 18 World Championship, to be hosted by Alamitos Bay Yacht Club Sept. 7-15. At press time, 113 entries from 11 countries and five continents had already been received for the class’s first world championship in the U.S. The headliners include defending champion Darren Bundock of Australia, past Olympic silver medalists Pease and Jay Glaser of the host club and Philippe Kahn, the accomplished and versatile competitor from Santa Cruz, who created the cellphone camera. Bundock also has Olympic Silver from 2000 and 2008 but was shut out of this year’s Olympic Games when organizers dropped the Tornado class and went strictly monohull. That was no problem for Bundock. 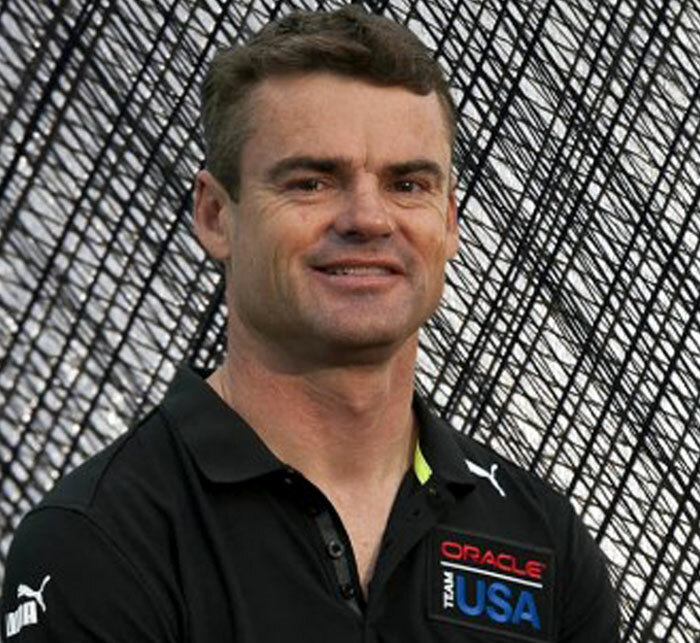 He has just advanced to sailing much larger multihulls for Larry Ellison and Russell Coutts’ defending America’s Cup team, Oracle Racing, as a coach and helmsman. Long Beach, with its (mostly) reliable southwesterly sea breeze sweeping down the San Pedro Channel, is a special attraction for multihulls, which aren’t happy until at least one of their hulls is flying out of the water. In fact, multis sailed their third Olympics here with the Tornado class in 1984. Jay Glaser won his Silver medal as crew for Randy Smyth, and four-time Gold medalist icon Paul Elvstrom of Denmark, then semi-retired, sailed with his daughter, Trine. All told, the multis demonstrated so much skill, speed and class that advocates are still wondering why they were dropped after the 2008 Olympics. Whatever the reason, the multihullers didn’t quit. They took another direction by developing not a new boat from a single design or manufacturer, per se, but a formula for a common class. Olivier Bovyn, president of the International Formula 18 Class Association, explained the reasoning for the move on the F18 website: “In order to broaden the access to elapsed time racing to a maximum of catamaran sailors, Pierre-Charles Barraud and myself, as the executive of the FFV Catamaran Section, decided then to create in 1994 the Formula 18 using the SCHRS formulas to compute the performance parameters. “The aim was the following,” Bovyn said: “To provide fair racing for crews of various (combined) weights, from 115 to over 150 kilograms (330 pounds), through the use of two different sail sizes of jibs and spinnakers, linked to the use of limited corrector weights; to maintain competition between the manufacturers in order to keep the costs at the lowest level; to allow mixed or female crews to compete on an equal basis in large male fleets; (and) to protect the interests of the club sailors through an actual measurement procedure. ? Could it be that the Olympics missed the boat? Registration, boat measurement and inspection start Sept. 7. There will be practice racing on Monday, Sept. 10, followed by daily racing Tuesday through Saturday, with a maximum of 15 races scheduled. The racing will be tracked on the Kattack website, courtesy of the title sponsor.